Woollyhugs > Latest.. > Auction > Spring Auction 2018 > Item 178. Utterly gorgeous crocheted cushion cover. Item 178. Utterly gorgeous crocheted cushion cover. 178) So utterly gorgeous. 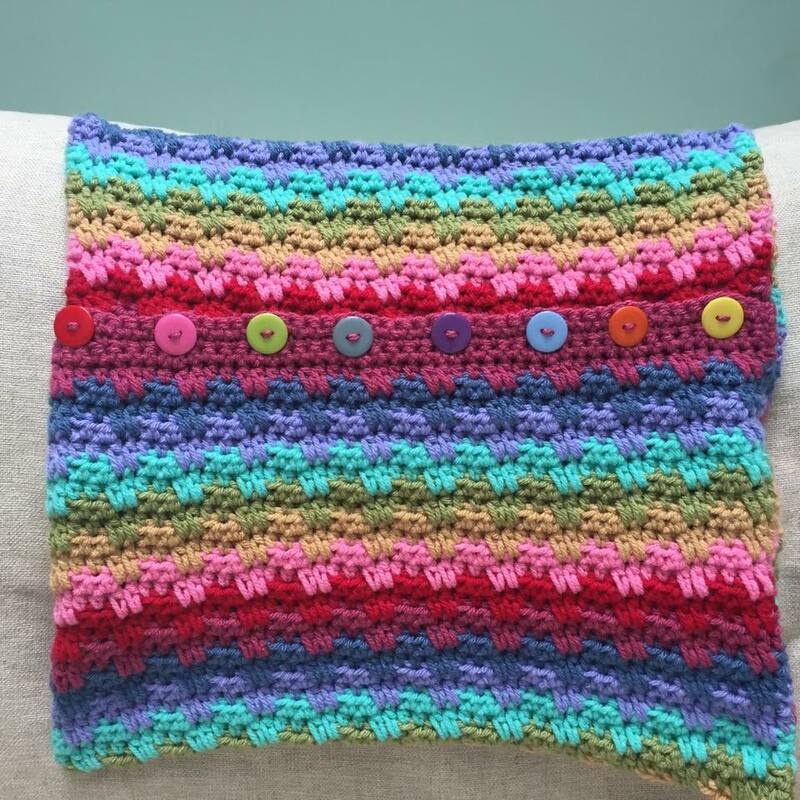 This stunning cushion cover (40cm square) is beautifully crocheted in Stylecraft chunky. Love the button detailing too. Happy sigh.